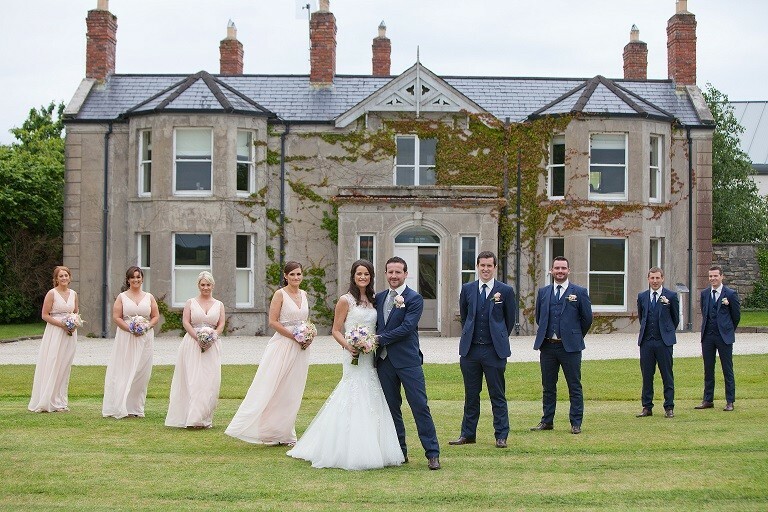 Set on 170 acres of rolling parkland in a stunning country setting, the 4-star Castle Dargan Resort, complete with a Darren Clarke designed golf course and Icon Spa, is the idyllic warm, welcoming and intimate venue for the wedding of your dreams. 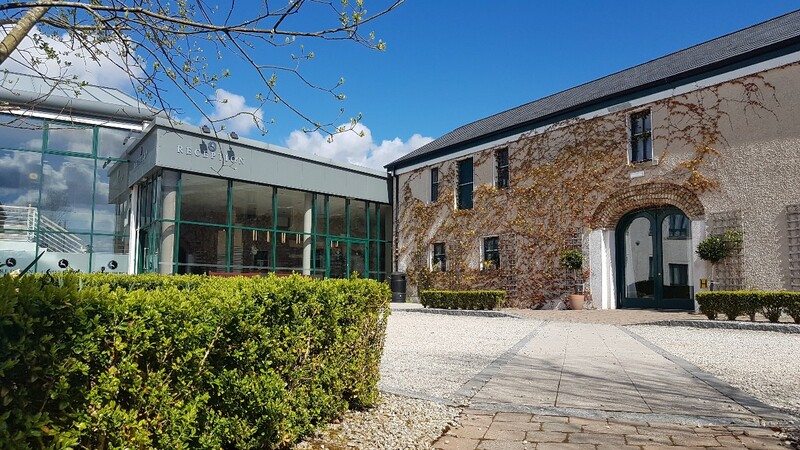 The dedicated wedding co-ordinator, Tanya Walsh and her team at Castle Dargan Estate is committed to combining fine dining cuisine and excellent service in a breathtaking location for your wedding day, making it the ideal romantic wedding venue. 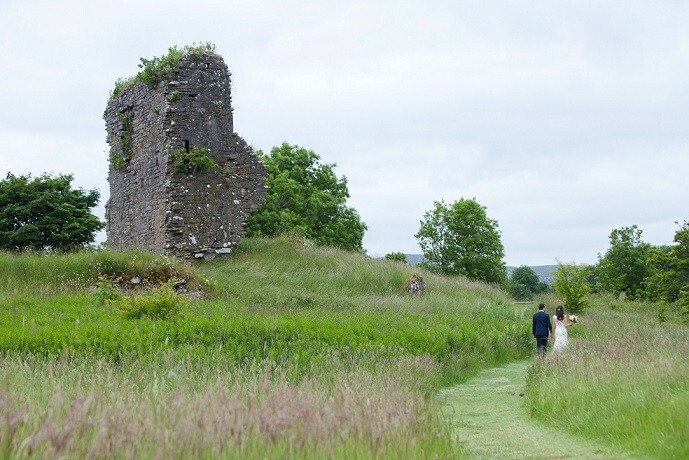 With a range of accommodation offers, only one wedding per day and unrivalled scenery, perfect for precious wedding photography, Castle Dargan Estate is a rare gem with spectacular views of fresh water brooks, rolling hills, old stone walls and ancient castle ruins. 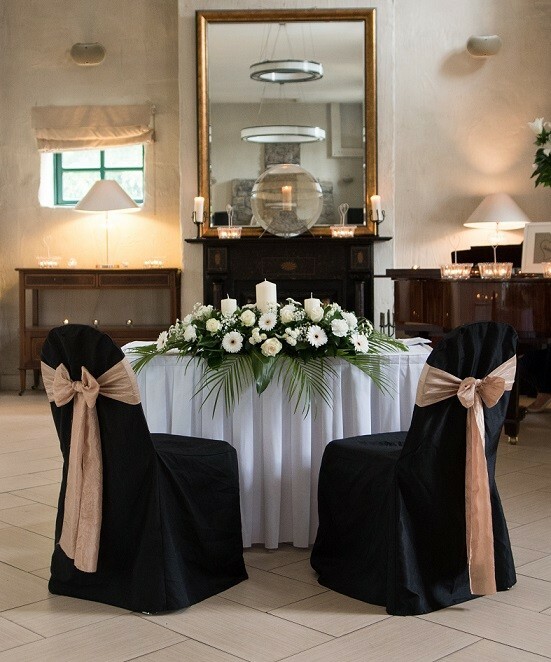 Each wedding day is unique and the team at Castle Dargan Estate will work with our couples to ensure their individual requests are met to create a truly memorable and unique wedding day. Castle Dargan’s luxury wedding suite, The Ormsby Room, has floor to ceiling windows with stunning panoramic views while The Coach House Lounge is the perfect setting for an intimate champagne or wine reception on arrival from your ceremony. Wedding packages at Castle Dargan for 2019 start from just €55 per person including a delicious five course meal for your guests along with a half bottle of wine per person, snacks later in the evening and thoughtful complimentary gifts including the bridal suite for the night of your wedding, accommodation for parents of the bride and groom, a late bar and centrepiece arrangements on all guest tables. 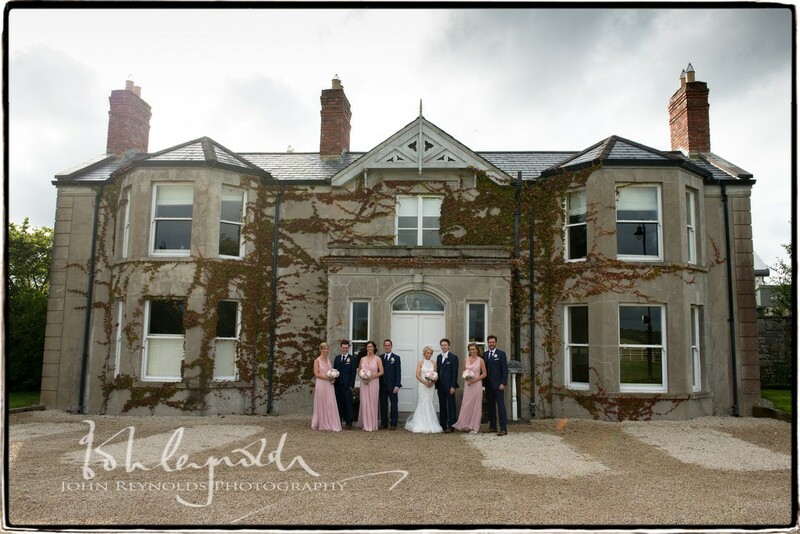 Castle Dargan Estate– Because Perfection is Possible!! Deirdre & Graham at Castle Dargan 2.9.2016 from Pink Lime Videos on Vimeo. 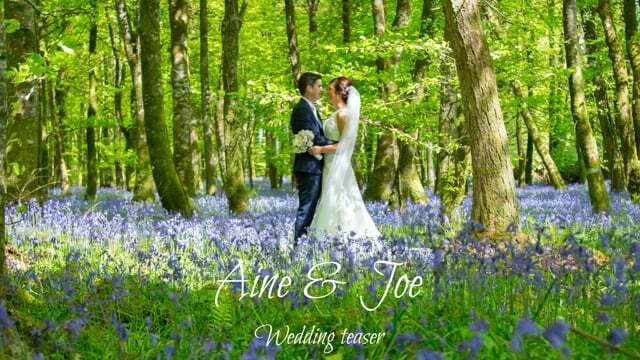 Wedding video sligo-Castle Dargan from Wedding Moments on Vimeo. Castle Dargan provided an absolute unforgettable day. Everything from the service, decorations, food was just outstanding. I could not fault the hotel at all. Tanya the wedding co-ordinator was just amazing from the very first dealings. She had such a warm welcome personality. Thanks again for everything. We found Castle Dargan great to deal with, in the run up to the wedding we really felt like everything was under control and would run smoothly on the day- which it did! The venue itself is just stunning and I also have to mention the food - it was so delicious,and the portions were huge- so many guests complimented it.Our wedding was a little different to most but nothing was too much trouble for Tanya & Mary, and we both genuinely had the best day! We would absolutely recommend Castle Dargan to other couples who want their big day to be really special. We had the most amazing day at Castle Dargan for our wedding. We wouldn't change a single thing! All the staff were amazing. Tanya and Mary were brilliant in the run up to the wedding, always being very quick to reply to emails, calls or questions. Tanya just put us so completely at ease, its so clear that she knows exactly what shes doing it takes so much stress away because we just knew she would make sure everything was perfect and it really was. Colm also looked after us on the day and he was great too and a special mention for Sean, the night porter, he really went above and beyond for us. The ballroom is stunning, the views are amazing and there was the most beautiful sunset while we were finishing dinner, I'll never forget it. The food was amazing, we've had so many people say since that it was the best food they've ever had at a wedding. I would recommend Castle Dargan to anyone, you wont be disappointed. Thank you so much to everyone at Castle Dargan for making our wedding day so amazing! I can not speak highly enough about Tanya and her professionalism and help to ensure our wedding went to plan. She thought of so many things to ensure the day all went to plan. We had all our guests travelling from Galway and England so they all needed to stay in the hotel before and after the wedding. Mary on front of house assisted with accommodation for all my guests and managed to ensure we all got sorted as it was alot of organising. The food and wine were amazing and everybody commented on how fabulous it all was. Dont think twice about having your wedding here they were amazing!! We cant wait to go back to stay and many of our guests are coming back too. Excellent wedding planner and staff at Castle Dargan.It really was the most amazing day ever and everything went to plan thanks to the amazing team in Castle Dargan. We had our civil ceremony and wedding reception at Castle Dargan and cannot recommend it highly enough.The Coach House was a beautiful setting for our ceremony,tastefully decorated with candles and floral arch.The golf course and grounds were fabulous for our photos.The function room was beautifully set up.The service was just excellent,we can't praise the waiting staff enough for being so efficient and attentive.Colm,the food and beverage manager did a superb job of looking after us all during dinner.The food was lovely,all our guests commented on how nice it was.The views from the function room are superb.A lot of our guests hadn't been in the hotel before and were so impressed with the setting.Tanya,the wedding co ordinator did such a fantastic job in the months leading up to our wedding and on the day itself.She is so professional and efficient and a joy to deal with.Everything ran so smoothly on the day.Thanks also to Mary who did a great job on looking after the room reservations.She was extremely helpful.For any couples considering Castle Dargan as a wedding venue,we would definitely recommend it.We had such a fabulous day from start to finish.Thanks to all at Castle Dargan and continued success. 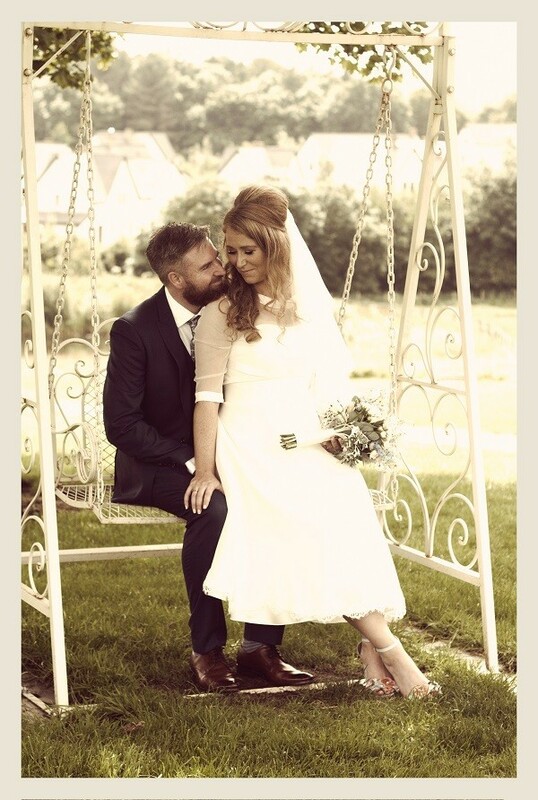 We had our wedding reception in Castledargan on 4th August 2018 and honestly could not say one bad thing about it. We had viewed over ten venues before it and had not encountered the professionalism and flexibility that Castledargan certainly offered. Our wedding coordinator, Tanya was excellent and made everything we wanted, happen. Nothing was a problem. The ballroom was amazing with gorgeous views of the golf course and the food was incredible. We had the Atlantic timbale of seafood, goats cheese tartlet, Rack of lamb,duo of salmon and seabass and the medley of desserts as options and everything was cooked perfectly. Could not fault it. We found the overall service outstanding woh Castle Dargan, from the planning through to the big day itself. From the planning, meal tasting, price, booking of rooms and coordination on the day. We were made feel so welcome, important and overall special on the most special day of our lives. All the staff were friendly and went above and beyond to help. The meal on the day was super and so was the service. I’d definitely recommend Castle Dargan for weddings or events. 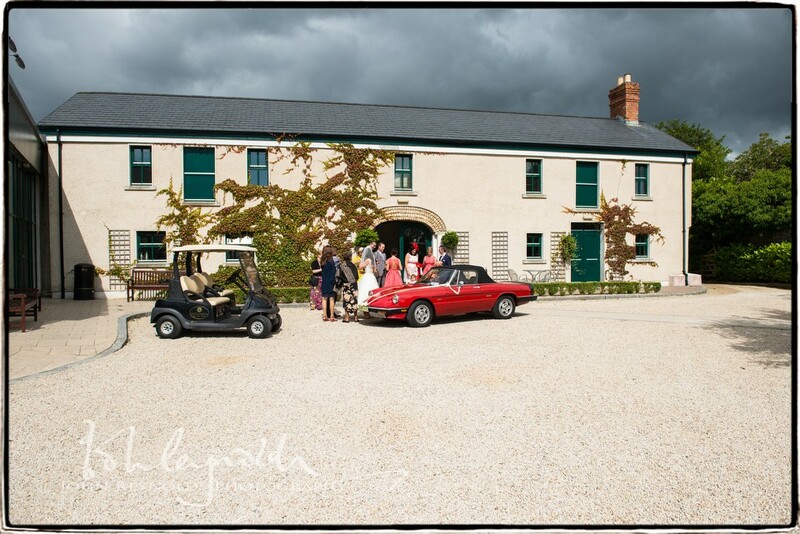 We had our Ceremony & Wedding Reception here on the 12th of May and to say it was excellent would not be enough. Tanya is the girl that manages the Weddings. She was absolutely brilliant. The first day we met her we knew we had nothing to worry about as she is so organised and really knows her stuff, extremely professional and nothing is a problem for her. The morning of our Wedding I felt so relaxed just talking to her. Caroline & Staff who decorated the place left no stone unturned it was complete perfection and and they were so lovely to deal with, their attention to detail is magnificent. Mary who sorts out rooms and Collette one of the girls on reception were just all so lovely and a pleasure to deal with. The meal was absolutely fantastic our guests were all so well fed. Bar staff and waiters were all brilliant. Castle Dargan is a Top Class place to have a Wedding & Cermony. We had the most memorable day ever. I highly recommend Castle Dargan as a Wedding Venue to any couple getting married. Thanks to all..
We both loved Castle Dargan having been to another friends wedding a few years before so when we got engaged it was an obvious first choice. The surrounds were beautiful and the venue was done exactly as we wanted. Anything i wanted to was no trouble for Siobhan and her team. We had a magical wedding day thanks to all the friendly and professional staff in Castle Dargan. The setting is beautiful and our photos will be treasured for a lifetime. All our guests commented on the fabulous food and that the portions were very generous, with seconds offered all around. I would highly recommend you consider this venue for your special day. Had a fabulous day/weekend in Castle Dargan, they couldn't have done more for us! All the guests raved about the food, the hotel and grounds, the staff, everything. Really lovely place, and really lovely staff. Great value too, and we just couldn't have wanted for anything. Thanks for making our day run so smoothly and so well, we felt so relaxed and content all day! All the very best, Íde and Seán. The venue and staff were fantastic for our wedding day. We thoroughly enjoyed it, and highly recommend Castle Dargan! 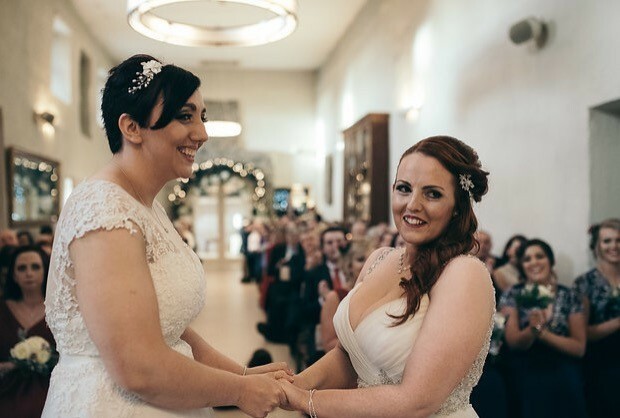 We had our wedding in castle dargan 26th october 2017.The service was excellent from the first time we met clodagh and Siobhan.They could not do enough for us.The setting is beautiful and food was excellent! !Thanks so much for everything. It's almost a two staged review for Castle Dargan. From my ratings, they absolutely delivered on some things, but others could probably use some work. Everyone we dealt with was really friendly, and we never had any issues or disagreements with people. There were some communication issues, in that some emails went unanswered, and a few hotel room bookings went missing. There was also some staff changeover, which lead to some of our earlier conversations not being handed on to the subsequent staff. Our tasting session perhaps wasn't the greatest, something I put down to catching them on a bad day. But they were minor issues from our point of view. What we really wanted for them to nail was the day itself, which they did. The day itself was pretty much perfect. The food was wonderful, the service excellent, and whole room was setup spectacularly. We really couldn't have asked for more. Any issues that we did have during the tasting session were fixed, and they accommodated pretty much all our requests. All our guests commented on how good the food was, and how lovely they found the venue. I would certainly recommend Castle Dargan as a venue. My daughter had her wedding here in July, it was a fantastic day, everyone who attended on the day had a fantastic day, nothing but praise for the venue, the food and the staff. Well done everyone for making Leeanne and Dermie Naughton's day so special. I would recommend Castle Dargan to any couple. The staff were professional in every way. They made myself and my husband so at ease on our wedding day. Our guests loved Castle Dargan from the food to the scenery and staff were brilliant. 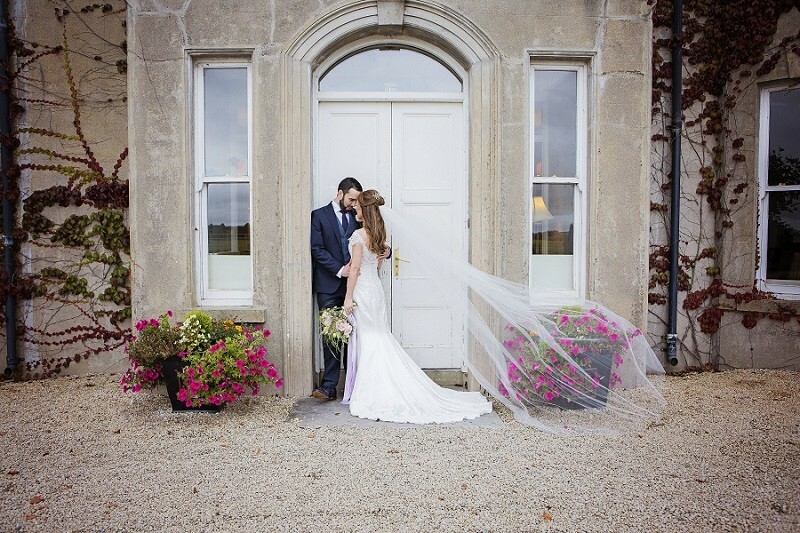 From the moment we pulled into Castle Dargan Resort in Sligo we knew it was the perfect place to have our Wedding. The setting is just amazing and the views are spectacular and thankfully we were blessed with a beautiful day to experience all it had to offer. Our wedding planner Kim Monaghan was fantastic and nothing was too much trouble and she took on board all our ideas and implemented them all to perfection. Everyone at the wedding complemented the excellent food and staff and we couldn't fault it one bit. The staff were very attentive and very professional and never pushy or rushed. The food was excellent and got so many compliments on the quality of the food. We tweaked our menu choices and this was never a problem with the hotel. The hotel offers a great all inclusive package and you really don't need to add to it whatsoever. I cannot wait to go back again and stay in Castle Dargan and it will always hold great memories for us. I dont know where to start. You were all so amazing with everything. I have never seen such presion and attention to detail. The whole place was so well organised and we just felt so spoilt. The serving staff were soon point that i was thinking that you do some army style drill sessions, no hanging around and nothing missing. In addition allthe guests couldn't get over the quality of the meals and they kept saying it was probably the best wedding meal they have ever had. The stakes were amazing and i dont know how the chef managed to cook them just perfect. For sure thete was no shortage of food as well. Aidan loved his birthday surprise and the names on the plates was a brilliant touch. We were so happy that both of us nearly cried except that would have messed up my make up so no go. Thank you again and cant wait to come back for an anniversary dinner and spa night. All the best from the new Mr and Mrs Duggan i.e. Aidan and Kati. We stayed here for two nights while attending a family wedding recently. It really is a beautiful place, extremely relaxing. We did not avail of the spa treatments during our stay, however other guests attending the wedding did and said they were excellent. We did play golf on one of the days, a nice course with some challenging holes. The grounds of the hotel are also very nice and there is a nice walk down to the castle, although not very long. The staff were extremely professional throughout our stay and no request was too small. The beds were by far the most comfortable I have ever slept in for any hotel. The rooms were modern, clean and well maintained. We ate in the hotel on both nights, including the wedding, and the food was very good. You will need a car if staying here. There is not much around the hotel other than the village of Ballygawley, which has a shop if stuck for anything. It is about a ten minute walk from the hotel. Sligo town is a short drive and a nice day out. All in all a nice weekend, helped by the unusually warm October weather. Would definitely stay here again. Only negative for me was there was no swimming pool. For the size of the place and the available grounds, I think a pool would be a great addition. An amazing hotel with amazing staff. Great value for the service and experience we received. Staff could not be more helpful and attentive in particular Kim the wedding coordinator, Matt the bar and restaurant manager and Chrissie the reception manager. All our guests commented on their attention to detail the hotel friendliness and helpfulness and it was all we could have asked for our special day. The amazing grounds and hotel itself makes it a magical place for a wedding! Wow... We had our wedding at this amazing venue may 2015.. It was superb on every level. I would recommend this hotel to absoulety everyone! We originally met kim, the wedding coordinator 14 months before our wedding date, and she was an instant Ray of sunshine, she is professional, hepful, made us feel completely at ease... Especially as we live in England ...nothing was too much trouble, and any question at all kim was straight back to us on email within the hour!.. Just incredible, we felt like the service was so personalised and we were made to feel so special. Something we never felt in any other hotel as we were looking around. Kim is most definitely a credit to the hotel! We carried on, had our menu tasting night there which was so beautiful, we will never forget it, the quality and amount of food was absolutely amazing... Something which carried onto the day.... The value for money...and quality was impeccible!! Our guests were stunned with the quality, everything was so tasty and plenty of food,.,, the staff even went round with seconds for our main course meats.!! Matthew looked after us so well throughout the meal, the attention to detail and quality of service was second to none... Lots of special touches that added to the day, we noted Matthew had his eye on the room, guests, timing everything was impeccible! ... The waiting staff are all unbelievably friendly....happy to help... We ran over a little late with the day... But nothing was a problem to this team!! The day was perfect, staff and venue, holds a special place now for me and my now husband... Cannot sing highly enough of this place! Castle Dargan is an absolutely amazing venue. Kim and the team made the planning process and the day itself flow so smoothly and were fabulous to deal with. Chrissie took all the stress out of the accommodation booking process with her organisation, flexibility and availibility. Matthew was wonderful on the day, guiding us through it in the most friendly, calm manner. Stephen made our menu tasting so enjoyable. Kim helped us from day 1 - which was almost 17 months before the wedding date. She answered all my questions and was professional yet so lovely throughout. On the day we were welcomed in such a lovely manner. All the little personal details that we wanted to include were made to feature beautifully. The food was superb, the accommodation was fabulous and the day was one i'll never forget. I couldn't recommend this venue more highly. I can't speak highly enough of Castle Dargan as a wedding venue. Beautiful venue, delicious food and all the staff are very friendly and went out of their way to make our day so perfect! Top class food. Service from all staff was excellent. All the subtle extra touches were appreciated. Our guests are still talking about the venue a year later. To Kim & everyone at the Castle Dargan, We would like to thank you for all of your help and hard work ensuring we had the perfect wedding day! Everyone had an amazing day, the food was lovely & the staff were really helpful. Thanks again and we would highly recommend Castle Dargan to have a wedding. We had our wedding reception in Castle Dargan in April. We couldnt recommend it enough! Kim was always available to answer any questions and help with our planning. Everyone who came to the wedding commented on how well the day went and that the staff were so nice and accomodating. The food was amazing as was the service. We had a wonderful day and it all went so smoothly thanks to the staff at Castle Dargan. 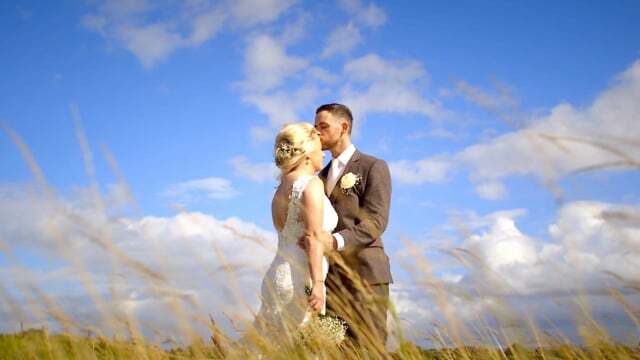 Our Wedding day on the 31st August 2012 was such a special, intimate day., The venue is set in the beautiful surroundings of the Sligo countryside with the dramatic backdrop of a perfectly manicured championship golf course. 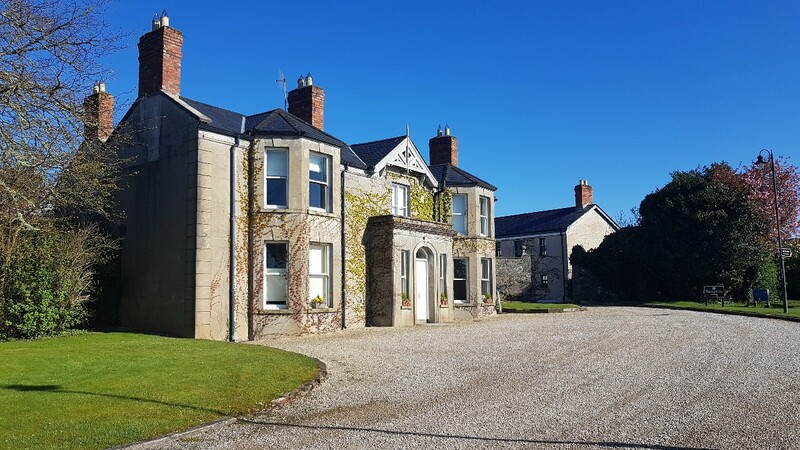 Ann + I met playing golf and we had been looking at various locations, Castle Dargan could provide the perfect setting and we could also get married in the most romantic Coach House room with its high ceiling and perfect lighting. Such a relaxing , beautiful resort.